The study objective was to validate the Arabic versions of the Athens insomnia scale (AIS), Epworth Sleepiness Scale (ESS), Insomnia severity index (ISI), Medical Outcomes Sleep Scale (MOS), and Regensburg Insomnia Scale (RIS) and assess the scales’ reliability and validity among a representative sample of the Lebanese population. A cross-sectional study, conducted between August 2017 and April 2018, enrolled 756 patients. The factor analysis for all the scales gave two loading factors for each of the AIS, ESS, ISI and RIS and three for the MOS scale. 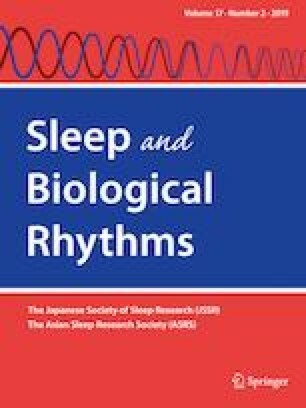 High Cronbach’s alphas were found for the Athens Insomnia Scale (0.829), Epworth Sleepiness Scale (0.822), Insomnia Severity Index (0.833), Regensburg (0.818), but moderate for the medical outcomes Sleep Scale (0.504). The Arabic versions of AIS, ISI, RIS, ESS and MOS scales are reliable, practical and easy to use, and may allow clinicians to use them in clinical practice. These scales are reliable, practical and easy to use. The results presented in this study may allow Lebanese clinicians to use these validated tools to establish a screening for insomnia disorders. Further studies are needed to validate these scales in other Arabic-speaking countries. Souheil Hallit, Chadia Haddad are the first co-authors.